During the registration process, you will have the option to select your occupancy. Remember that the price of your trip is based on occupancy, so it will change depending on how many people are in your room. 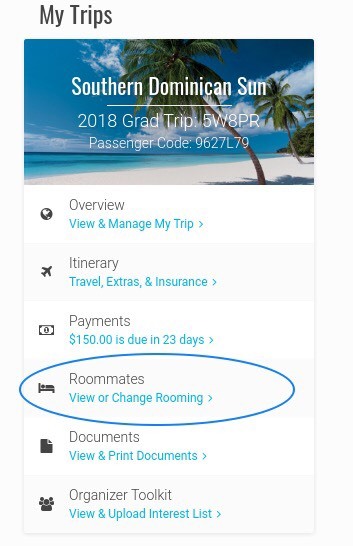 Once signed up for the trip, you will need to log on to your online profile to submit a rooming request and provide us with the names of the people you want to room with. Travelers are responsible for selecting roommates. Your status must be Active in order to submit a rooming request. If your status is Pending or Default, rooming requests will not be accepted. 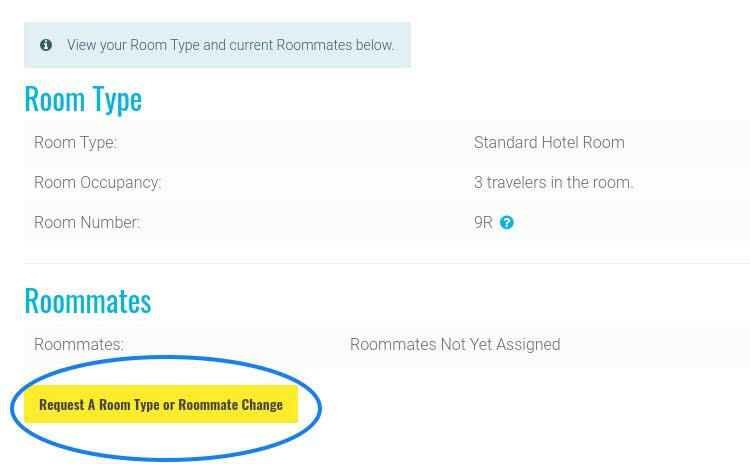 To submit a rooming request, log on to your online profile, and click on "Roommates" on the left-hand side of the page. You'll click "Request a Room Type or Roommate Change". 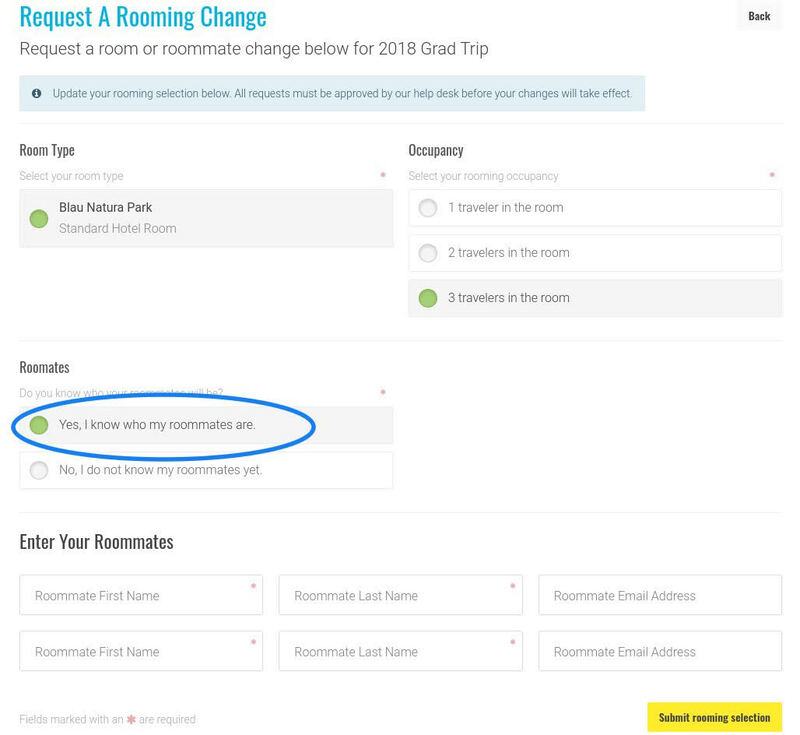 Select the desired occupancy, and click "Yes, I know who my roommates are" to enter their names. You will need to provide the correct number of roommates to match your requested occupancy. For example, if you are requesting a triple room you must provide two other names, and if you are requesting a double you must submit one other name. Once the names are entered correctly, click "Submit rooming selection". Everyone you are requesting must submit the same request through their online profiles for the request to be approved. The deadline to submit a roommate request is 45 days prior to the final balance date. Our rooming department will review all of your requests and notify you if the rooming request has been approved.